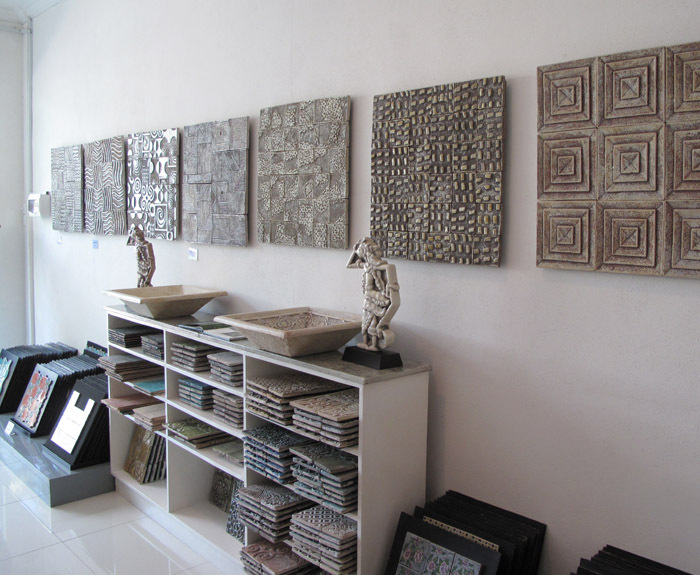 Before leaving Sanur, we headed to the showroom for artiles where we met with artist Philip Lakeman. 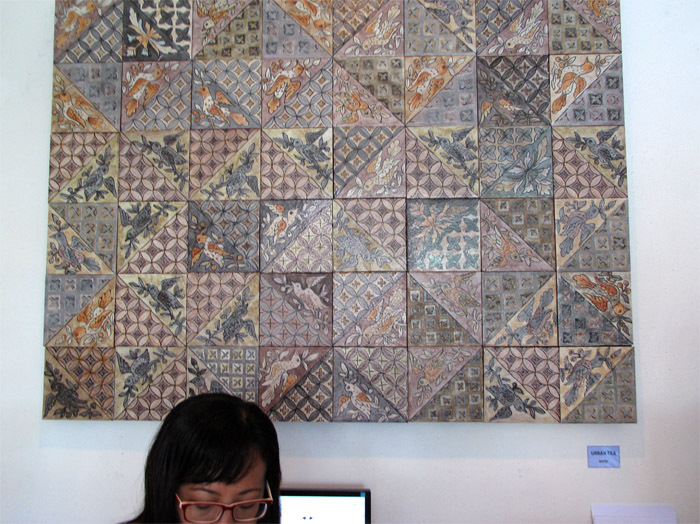 His showroom featured some super interesting tile I would sum up as ‘textural’. 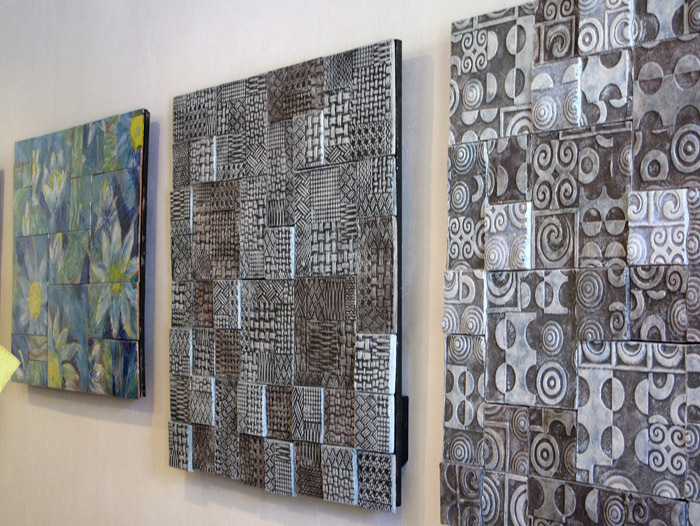 The tile would offer fantastic options for creating a wall that is like 3D artwork. I particularly liked his use of soft, low-contrast tones. 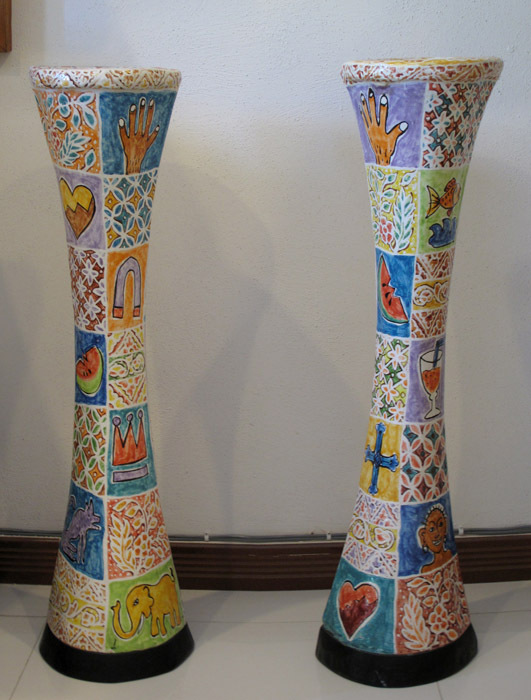 These vase-like sculptures were quite tall, maybe 3 feet? Another example of his creativity overflows into what seemed to simply be their break room. That countertop is all one piece, not separate tiles (there is a single grout line between the sink and full length of the counter). 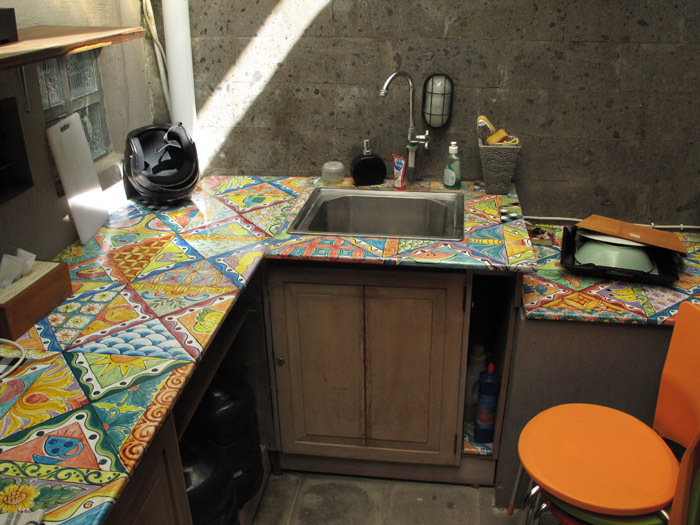 For those of us who have had tiled countertops and cursed the grout lines and tile edges, Philip makes a single, smooth surface dream into a reality by create one super-sized painted tile! This style isn’t for purchase, but if you are a tile maker and have the means to create a painted ceramic surface counter, why not!?! This last image made me realize just how small the world can be. Philip showed me published photos of one of his previous homes in Bali. 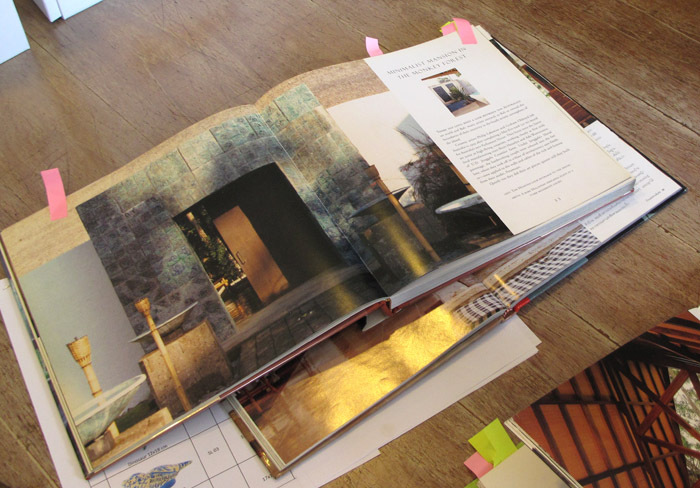 As soon as he opened to this page I said “I know this place!” I had one of the same coffee table books on Bali homes and this one I remembered because of it’s distinctive entrance. In this thumbnail image it may look like a fireplace, but if you enlarge this, you see this is the doorway to a home. 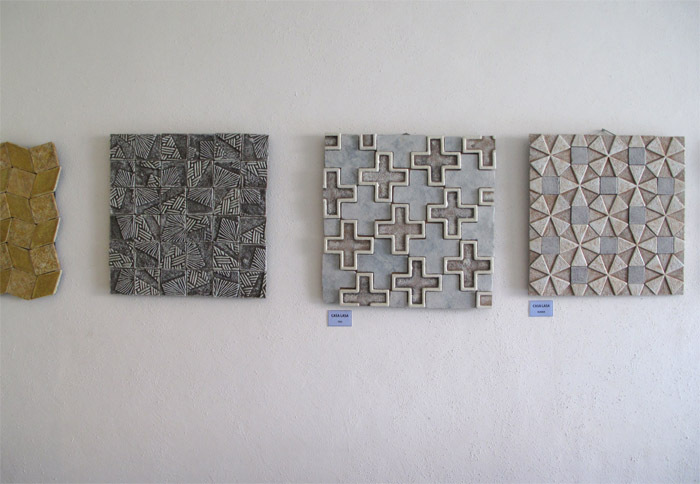 The entire entrance is surrounded with a verdi-gris tile, designed by Philip. There is more to the tour—stay tuned. 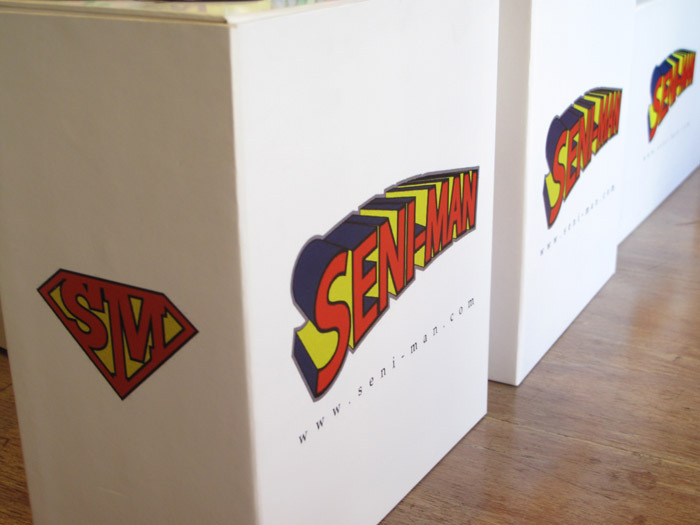 Thank you very much for the heads’up, and for reading my blog! I just scrolled through the images and everything seems to be loading correctly but some are loading very slowly. Depending on one’s internet strength that could certainly change one’s experience of the page. I just returned from my second trip to Asia and experienced all manner of frustrations with the internet, pages that I knew were perfectly fine. I appreciate the comment and thank you for pointing that out because I will keep it in mind. If you continue to have the problem and want to see a particular photo(s), perhaps tell me which one(s) and I can check for something specific.